But as I can speak from experience, this is much easier said than done. It’s not that any of us don’t want to be living our soul purpose. 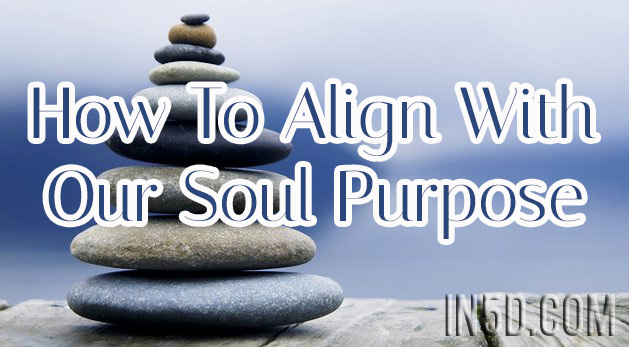 We know that there is something not quite aligned or flowing within our lives, but so many of the ways to get there are either elusive or hard to grasp at best. Because, quite frankly, we are not taught to live our life purpose. We are taught to get careers. Logical careers that bring in a decent income. And many of them don’t feel like they are part of our purpose at all. And we have this idea that to be successful, we should be working long hours and should feel stressed out. Otherwise, what are we even doing? But as I discovered (and I am still getting there, as I feel we are always “getting there”) I was making it much more complicated than it had to be. For a long time, I was under the illusion that perhaps I missed something, or I had taken a wrong turn, when in fact, I hadn’t. My experiences, my life, were actually all a culmination of my purpose, and before I knew it, I had “become my purpose” just by being me. Because we all have a gift. And we all have this gift to share with the world, otherwise, we wouldn’t be here. Simple as that. There are no extras here in this movie of life. I will offer my humble advice and sincerely hope that you will find it helpful. 1) What comes naturally to you? Look at yourself. Look at your talents. And be kind. Be generous. Because chances are, anything that you can do with ease that others can’t, is probably your gift. For me, connecting and communicating with nature has always come easily to me. I do it without thinking about it, it is a part of who I am. Nature is when I feel “oneness” with all that is. When I feel I truly connect with the Divine presence. When do you feel this connection? Where are you? What are you doing? Can you expand this moment, this time, into other areas of your life? As a society, I feel we focus too much on being amazing at everything, even our weaknesses. While knowing lots about a lot of different things makes you interesting and boosts confidence, and I agree that it is good to be a well-rounded individual, but shouldn’t we be encouraged to focus on what we are naturally inclined to be talented at, as that is our gift to the world? And that way we can help one another that struggle where we are strong? For example, I have a wonderful lady who helps me with all of the “techy” stuff of running my website. Her name is Sian Elizabeth and she is amazing. That is her talent, and for me, it is a gift, because it is not my strength. By sharing her strength, I am able to share my gift with the world. When we are children, we are closely connected to our soul and our memory of who we really are. Connect with your inner child, remember back. What did you love as a child? What did you want to do or be? Were you interested in people, animals, the earth, helping others? What was the nature of your happiness back then? For me, I was going to be a writer. I wrote joyfully, stories and poems, unabashedly and unworried about the quality or content. So naturally, it makes sense that I now write about helping others connect with the magic of nature to rediscover the magic of their own lives. This is who I am and comes easily to me. Basically, I knew I needed to quit regurgitating the same old thoughts and out-dated beliefs that were playing on re-run in my mind. Our minds tend to become a replay of what we think our lives are, rather than what they really are or could be. There are many styles and techniques out there, and each are suited to each individual. Meditation is personal. Find a style that works for you and commit to doing it everyday. Nothing major. Even ten minutes a day. I promise the effects are profound and life changing. Life just flows with much more ease, and as I found, I began thinking new thoughts and seeing new things. Science has finally proven what the wise men and women have know for eternity. Meditating unleashes your creativity and problem-solving capabilities. It relieves stress and makes you more productive. You become a much higher vibration, better version of yourself. Actually, it unveils who you really are. And as I found, I became addicted to the natural “high” that meditation provides. The joy, the bliss, the feeling of “oneness” with the Universe. I now cannot imagine a day without a few mindful minutes of going inward and being connected to everything. It is important to remember that we were never plunked here so that we could drift along without a clue (even though sometimes it feels that way). The answer, the way, is always available if we open our awareness to it. I have found a quick and effective way to do this is to ask some empowering questions. What is an empowering question? A question asked from a position of power. Such as from the place of a co-creator of your life, rather than a helpless victim. Even if you don’t feel that way sincerely, say it anyway. why do I have such an amazing gift to share with the world? what is the nature of my life purpose, or my happiness, or fulfillment, etc. why do I get to live my life purpose? why do I always know which direction to go? Notice the shift in your consciousness. Your vibration rises when you ask questions in this format, and as your vibration rises, so will the vibration of of experiences that you invite into your awareness. Writing is powerful. Because we believe it when we see it. And what we believe, we become. So consider what you are writing, and be ready for a shift, a change to occur, because it will. Disclaimer: It’s not always easy. Walking the path of my Divine life purpose is not always a walk in the park, everything does not automatically go honky dory. I hadn’t considered that it was a pretty tall request. But of course, being me, I dove right in to the “deep” stuff. I had and still have a lot to clear so that I can continue on this path. But I’ve noticed as I keep asking these questions, such as, “how can it get any better than this?”, the universe answers me. Things really do always get better. As creators of our lives, we need to be mindful of what we are asking for, because the answers always come. Don’t worry about the “how” of the answers. The messages always arrive and it can be in a variety of ways. For myself, I am a dreamer. So for me, the answers usually come in a dream or from a messenger from nature. But I have also had the answers come in songs, random people, coincidences and serendipity occurring in much higher frequency than usual. Stay open and give the Universe a chance to answer. And many times, the “answer” is just a smoother flowing of your life. Or you may feel guided to read a book, go somewhere, take a course, but you will realize after that it was all for the best. There is a balance to strike between asking and stating, and then letting it go and staying in the moment. Assure that when you asked or stated, you were heard. So then it is your job to trust. 5) What Strengths are your Children Revealing in You? As parents we have accepted the high honor and privilege of raising children in a critical time upon our earth. And as I have found, my kids are teaching me as much as I can teach them. What has raising your children taught you about yourself? Or your grand-children or other children in your life? This can even apply to other loved ones in your life that you feel a deep connection with, good or bad. My children revealed to me my own fears about myself. I have had to “up my game” if I am going to be the kind of role model that I feel they should have. I discovered that one of my fears for them is that they will feel that I don’t understand them, because, as a child, I often felt misunderstood. This has made me a more patient and compassionate parent. I have also seen how they thrive when I am open and allowing my inner child to come through and play. What is it that you want for your kids? Now want that for yourself. It is not selfish of you. You will be improving their lives as you improve your own. And another bonus? You will feel fulfilled and you won’t be loving them from a place of need. You will be satisfied and when we are satisfied, we see others for who they are rather than what we want them to be-and that means everybody will be happier! 6) I have another piece of advice that has come to mind, and I have to admit, it won’t sound the most spiritual or enlightened. Actually, I’m not sure if it is even advice-perhaps we will just call it me sharing an experience and you being amused. I told you they were ugly. And I don’t typically curse. Thankfully, I have only done this when I am alone in my own company, either in my truck or out by myself in nature. I have to say though, when I get my fill of screaming profanities, I come down from my anger, and I suddenly become very aware of the love and compassion of the Universe as it floods over me. I will have a knowing that all is okay and usually a sense of knowing what I should do next. There is often a valuable insight that comes, and a realization that I have just cleared some old “stuff”, and that is actually what it was all about in the first place. I then feel ready to move forward. I can actually feel the Universe “”hug” me. So I forgive myself and apologize to the Universe, dust myself off and carry on. As I said, I’m not sure that I’m suggesting this, but if you feel inclined to do so in your own company, then go for it. My life growing up on a farm, and now as a farmer, means that everyday I am in nature. No matter the weather, 30 Celsius above zero or 30 Celsius below zero, I am outside. So my life is what has given me the opportunity to be surrounded by nature, connected with the earth, and as my own boss, the freedom to write and share my experiences. For me, it has been my children and nature who have revealed my purpose to me, because they both have brought out my talents and the very best version of myself to share with the world. Look at your life, because your life IS your gift. It is your purpose. Perhaps there are some aspects that need to change. Maybe small changes, maybe big changes. Or maybe only your perspective of yourself and your life is all that is needed to shift. Either way, the answer is there, because it is you. About the author: Jessie Klassen is a farmer, author, and mother of 3 sensitive children. 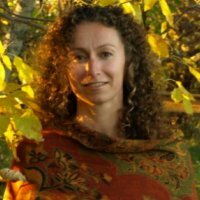 An empath herself from a long line of nature lovers, Jessie has been inspired to help others reconnect with the magic of nature and the magic of their own inner nature child. Her children’s book “The Sapling” will be released in the summer of 2017. Honoring the lessons of the trees, a portion of proceeds will be donated to the TreeSisters and the Nature Conservancy of Canada for reforestation and the protection of our earth.